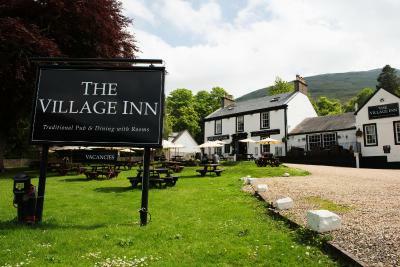 Lock in a great price for Village Inn - rated 8.5 by recent guests. 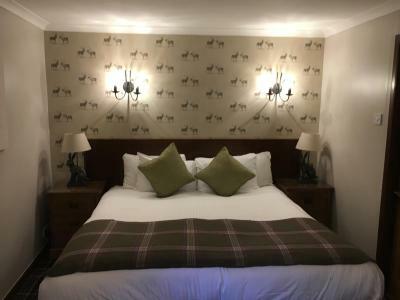 good size comfy room for the 2 of us & the puppy. 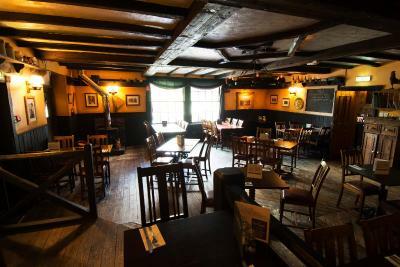 staff were excellent with having the dog in the bar where we had a meal & few drinks. Food was really nice and reasonably priced. Check in was very easy and our room was spacious. We did have some issues with the radiator clanking but that was solved. Dinner was good, as was the nights sleep. Breakfast choices were plentiful, and checking out easy. Breakfast was lovely, great location and glorious view! 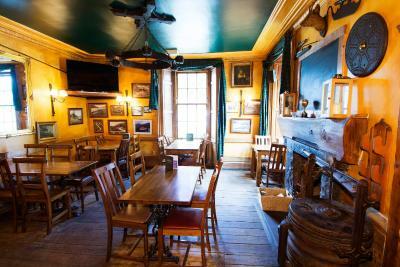 We stayed in the pub in the evening, good atmosphere and value for money when it came to drinks. Location was fantastic, being right on Loch Long was beautiful and the view of the hills in front were lovely to see in the mornings. 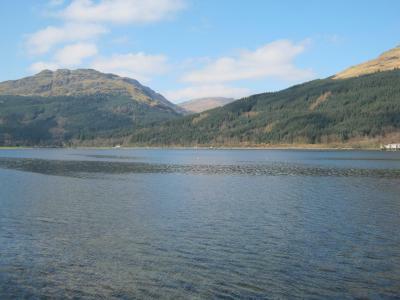 Being situated just round the corner from Loch Lomond was good, was only a short drive to Luss and the other surrounding places. Staff were brilliant, helpful and couldn't have done much more. They were very welcoming and always smiling, especially with our little 1 year old. Most definitely a kid friendly place. Food was good. A very good selection for breakfast In mornings. Evening meals there were lovely aswell. Drinks can be abit pricey but that's like most places these days anyway. 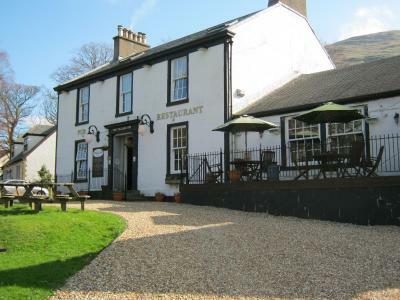 Lovely inn with great food and the staff were so helpful. 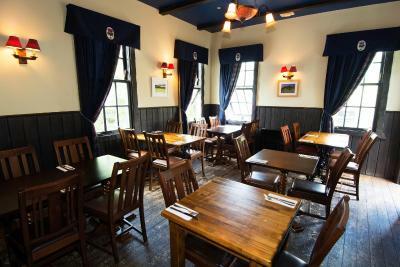 Very comfy, clean, great breakfast and lovely staff. Local area & views. Nice having breakfast served to you. Great location. very relaxing. Nice accom and facility's, food and bar. 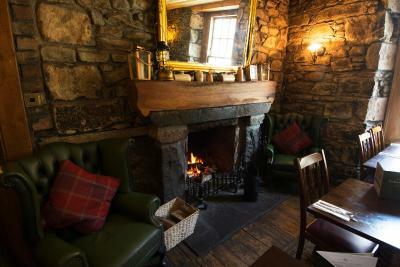 Very warm and cosy. Pleasant and helpful staff. 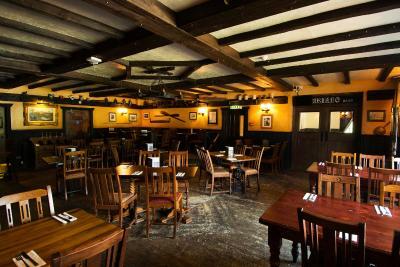 Convivial pub, good food and decent rooms. 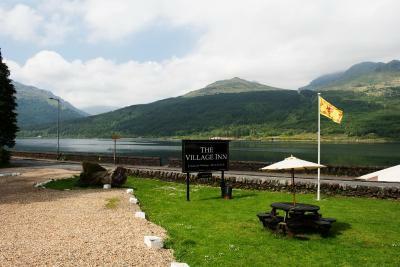 Nice beer garden too overlooking the Loch. 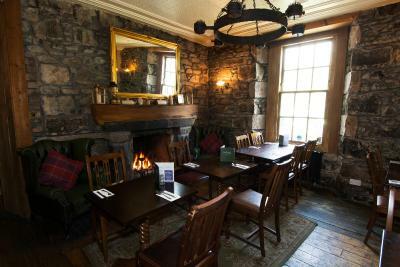 Very good breakfast options from full Scottish plateful to porridge and fruit. 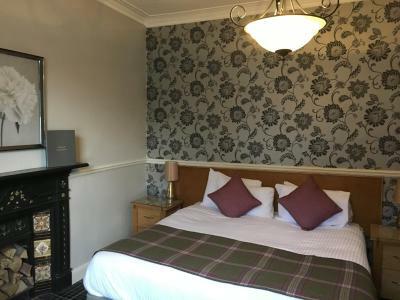 Located on the banks of Loch Long with breathtaking views of the Arrochar Alps, the Village Inn offers en-suite rooms and free WiFi in all areas. 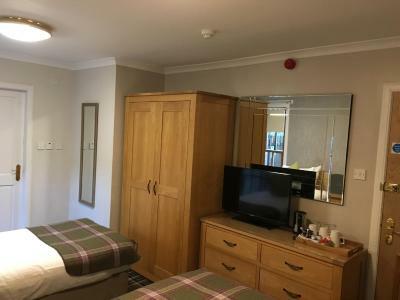 The building’s character is complemented by individual room features including a TV, tea/coffee facilities and a private bathroom. 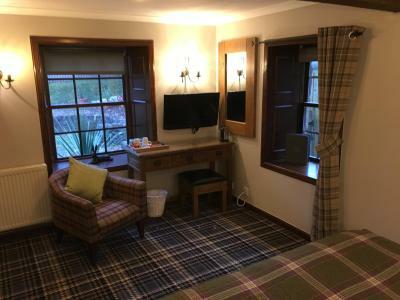 Some rooms overlook the loch. Seasonal, locally sourced produce, including seafood, is served in the restaurant. 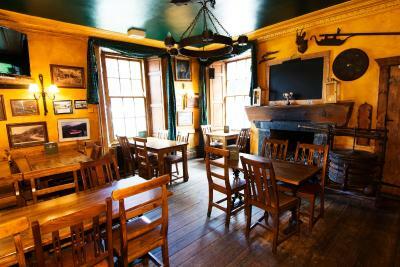 Refreshing drinks and afternoon tea are served in the bar, which has 2 log fires. 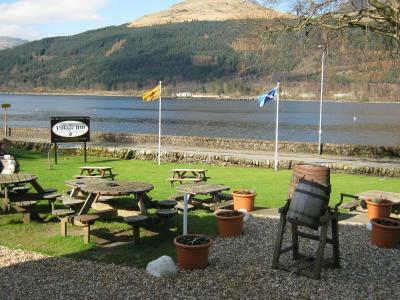 Guests can also relax in the beer garden, which overlooks Loch Long. There are many walks and trails stopping off in local villages. 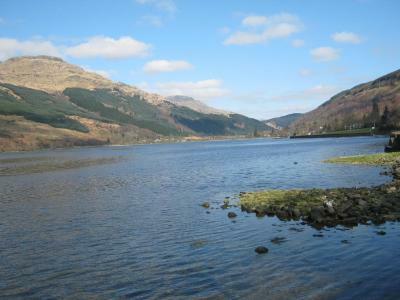 Arrochar and Tarbet Rail Station is under 5 minutes’ drive from the Inn. The Village Inn is open all year round including Christmas, when guests can enjoy the scenery whilst sitting beside the log fire. Village Inn has been welcoming Booking.com guests since 6 Apr 2011. When would you like to stay at Village Inn? 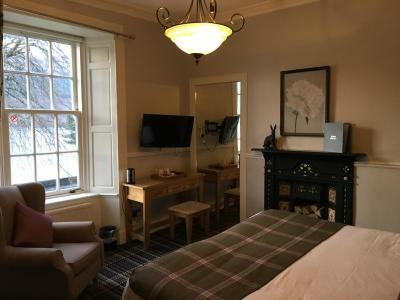 Some rooms have a view of Loch Long, this room also has tea and coffee making facilities, a hairdryer, an iron and a private bathroom with a bath and shower. House rules Village Inn takes special requests - add in the next step! Village Inn accepts these cards and reserves the right to temporarily hold an amount prior to arrival. 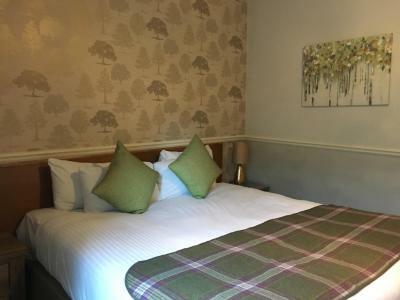 Please note that for guests booking a stay with halfboard, the dinner is a 3-course set menu. The check in was slightly hectic, was charged twice but refunded when I spoke to the property by phone 3 days later. 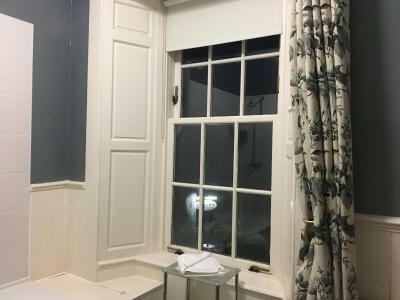 I think the hotel was slightly high in terms of price for a 1 night stay, especially when I checked in, there was a raft of paperwork sitting out on the desk and I noted that I had paid more for a room than others for 1 evening including breakfast. There wasn't really much not to like. Family room very small, hardly any space to move around. Check in staff unprofessional. Continental breakfast very poor selection for children. Very noisy from 6am from rooms above & cleaners start very early. 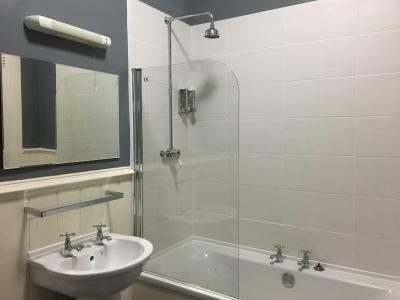 The shower was a bit weak, especially if you tried to make it warm.